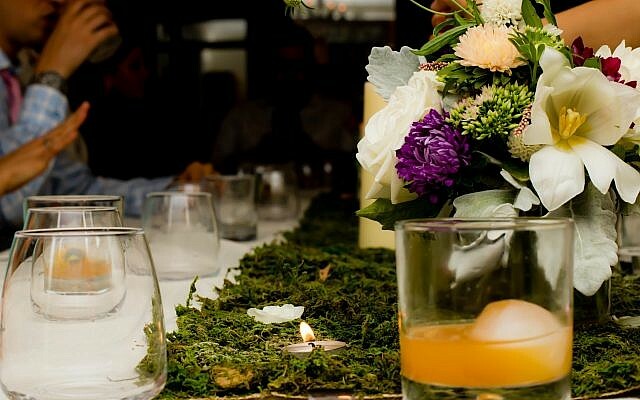 New supper club specializing in artisanal fare is a foodie’s fantasy. Dinner was adventurous, delicious and, what’s more, kosher and highly Instagramable. 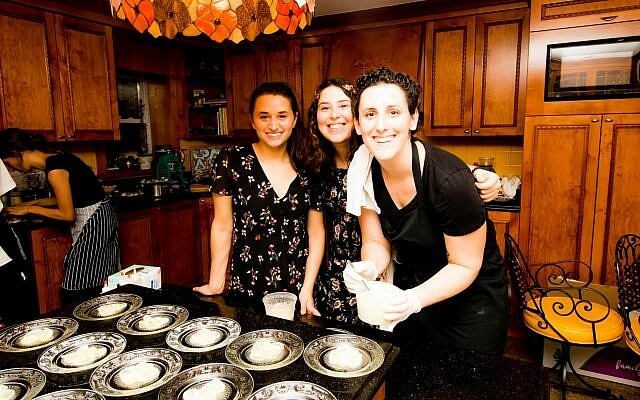 Launched two months ago by three childhood friends — Adina Halpern, Danielle Brody and Rachel Margolin, all in their 20s — the Musket Supper Club (alluding to the Three Musketeers) is a kosher foodie’s fantasy. Meeting once a month in a private home, this innovative initiative cuts out the commercial venue to offer 20 lucky diners (reservations are on a first-come, first-served basis) an artisanal, meticulously curated seven-course gourmet odyssey with drink pairings, certified by Rabbi Jon Leener of Base Brooklyn, for $125 a person. Every supper has a different theme. The most recent one, on Aug. 20 in Crown Heights, the club’s second gathering to date, revolved around Shakespeare’s “A Midsummer’s Night Dream,” a work that Chef Adina Halpern read for the first time especially for the occasion. “I got the ‘No Sweat Shakespeare’ version, so I could read it in regular English,” she admitted to the guests. While cutting corners on her Shakespeare, no effort was spared on the meal. Drawing inspiration from Greek cuisine, and light, summery flavors, the menu was distinct in its imaginative flare. It featured singularities such as a grapevine-smoked tomato heart with honeycomb, saffron and lemongrass and a pottage of Heirloom barley with salt-cured olives, figs and honey truffle (paired with a late-harvest apple cider), all of which tasted about as good as they sound. 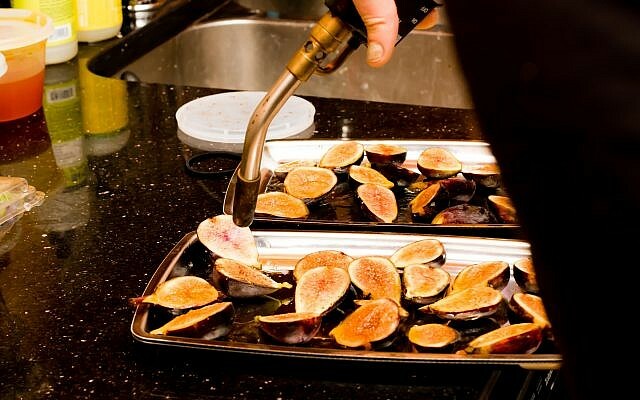 Halpern, who cut her teeth at prestigious restaurants such as the Michelin-starred Mugaritz, in Spain’s Basque country, as well as high-toned New York spots such as Danny Meyer’s The Modern, MiMi and Le Coucou, was in between jobs when the idea of a kosher supper club materialized. “I wasn’t in the mood to go back to a restaurant, I didn’t want to return to the same old. … I wanted to create something new,” she said. Fittingly, the Musket Club’s lives by its feed. The fledgling club already has an Instagram following of 326, and is working hard on increasing its presence by befriending people with a lot of friends. Friedel Levin and Chana Frenkel, of the Brooklyn-based Mimulo Flowers (who also designed the centerpiece), assumed that the Musket trio approached them to gain access to their 12,000 followers; another Instagram celebrity, Gabriel Boxer — aka the Kosher Guru (36,000 followers) — spent most of the evening with his cell phone strategically poised between himself and his plate. While the idea behind the club was to “to create a community around [kosher] food,” according to Margolin, at times the talk around the table seemed to revolve more around Instagram trends, Twitter handles, followers and shares. It’s a fresh new world, but it’s enough to make even a millennial feel aged.